Thats right, orders over £99 are delivered Free of charge as long as you have a mainland UK address. Dont worry if you spend less with us as our we never charge more than £3.99 for postage and packaging for any order. We can deliver to your home or if easier your work address or a relative or neighbour, whatever is best for you. 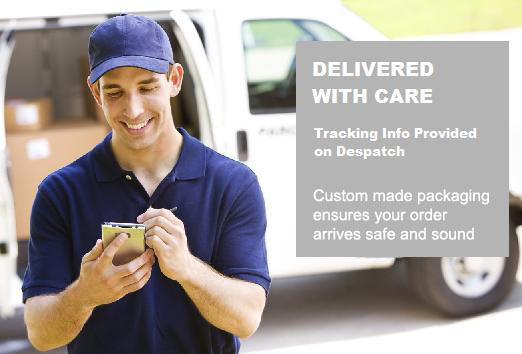 When your order is packed and despatched from our warehouse you will be emailed with tracking information so that you can check your delivery's progress. We have worked hard to develop our packaging materials and techniques to make sure that your order arrives in perfect condition. You can collect from our warehouse in Kent if its easier for you, but please contact us first to make sure your order is ready as we dont want to disappoint. 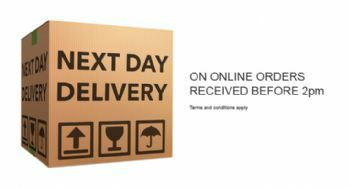 Look out for the preffered delivery date field when placng your order. This allows you to pick a date that will be convienient for you for delivery. We will deliver your order as soon as possible, current turn around time is 2 - 9 days as all of our taps showers ect are hand finished to order and it does take time to finish perfectly. These products are always in stock, and if you order before 2pm we will guarentee delivery Next Day. Deliveries within the EU will incur no import or export duties. 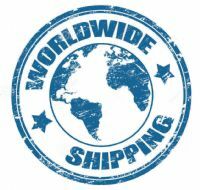 Some international deliveries may be subject to customs, legal and regulatory restrictions. To comply with local legislation, you or the recipient may be required to pay additional taxes, fees, levies, or import duty on House of Fraser purchases. For some products, Manufacturer warranties and Manufacturer service options may not be valid in international territories. Product manuals, instructions and safety warnings may not be printed in local languages. We cannot carry out international deliveries on Saturdays. We cannot carry out international deliveries on British Public Holidays. We cannot carry out international deliveries at specific times of the day. Thank you for choosing GoldTapStore.co.uk.